Heath & Heather Nettle Tea might sound like a prickly customer but actually it is a delightfully light, gentle and refreshing herbal drink to enjoy any time of the day or night. Like all herbal teas, nettle has its own unique health benefits. A wonderful addition to your herbal tea collection. Place the filter bag in a cup or in a warmed pot (one per person). Add boiling water. Leave for 5 minutes to bring out the full flavour. Nettle (100%)Suitable for vegetarians and vegans. 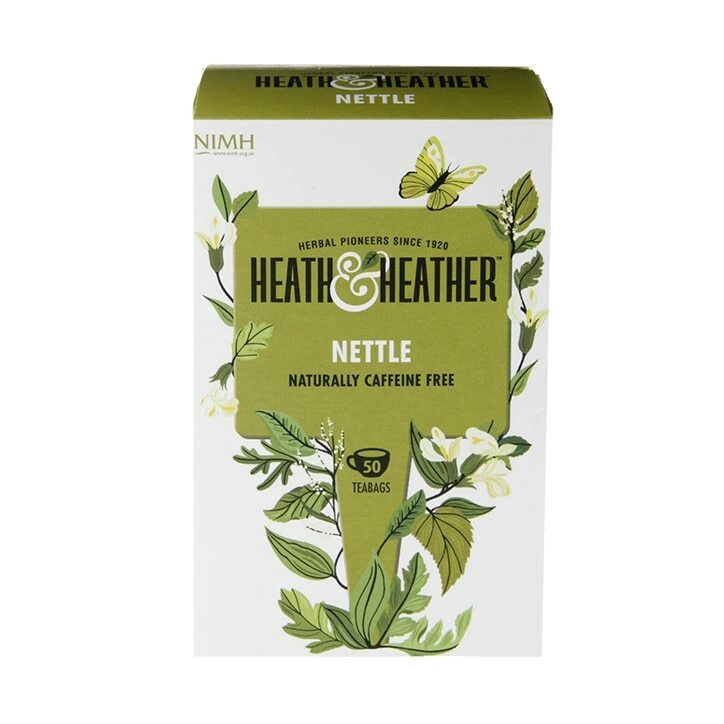 Heath & Heather Nettle Tea Herbal Infusions is rated 4.8 out of 5 by 22. Rated 4 out of 5 by noodlenoodle from Nice, but tastes like seaweed? Really nice tea, but for some reason it tastes more like seaweed than nettle? Maybe I've just got a dodgy batch. It's still nice though and would recommend it. Rated 5 out of 5 by Krist from Great Quality Nettle! Makes a lovely cuppa - good for your body and doesn't sting either! Rated 5 out of 5 by Hmb23 from Drank this tea for many years A regular consumer of this product I bulk buy it when offers are on as I consider the standard retail price excessive. I find it very refreshing and easy to use. Rated 5 out of 5 by Primrose7 from Refreshing This tea is lovely, relaxing and great any time of the day.